CEO Gorman said the advisor recruiting environment was "pretty stable" and that the firm was unlikely to pursue an acquisition. Morgan Stanley (MS) said Monday its net revenues were up to $9.7 billion in the second quarter, up 13% from $8.6 billion a year ago. Also in the quarter, net income was $1.8 billion, or $0.85 per share, compared with net income of $1.9 billion, or $0.92 per share, in Q2 ’15. The company beat earnings estimates with these results. (Last year’s performance included a tax benefit of $609 million or $0.31 per share). In Wealth Management, after-tax income was $561 million — a jump of 20% from a year ago and 5% from Q1’15. “We delivered a strong quarter across each of our businesses, through client-focused execution, expense discipline and prudent risk management. We remain focused on delivering the long-term value of this franchise,” said Chairman & CEO James P. Gorman, in a statement. During a call with equity analysts, Gorman seemed to brush off the idea of buying another firm as a way to further boost Wealth Management results. He also dismissed the notion that recruiting competition is affecting compensation costs and negated a suggestion that the firm could trim advisor payouts to improve financial performance measures. The number of advisors was 15,771 as of June 30, down from 15,916 in Q1’15 and 16,316 in Q2’15. Average annualized revenue per representative (or fees and commissions) were $978,000, up 8% compared with the prior-year quarter. Total client assets were $2.03 trillion at quarter end, or roughly $203 million per rep. As of June 30, the transfer of deposits from Citigroup was completed, totalling $4 billion. Wealth Management bank deposits were $132 billion as of Q2. 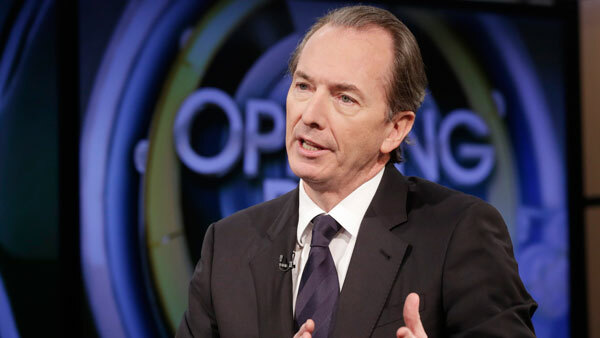 Morgan Stanley’s Wealth Management unit reported pretax income from continuing operations of $885 million compared with $763 million in the second quarter of last year. The quarter’s pretax margin was 23%, vs. 22% in the prior quarter and 21% a year ago. When asked by an equity analyst during a conference call if the firm was considering an acquisition to help push margins up further, Gorman avoided answering the question directly but hinted that such a move wasn’t needed for further performance improvement. Net revenues for the current quarter were $3.9 billion, compared with $3.7 billion a year ago. Asset management fee revenues of $2.2 billion increased from $2.1 billion a year ago, but transactional revenues of $872 million decreased from $991 million last year. “Global based asset inflows were $13.9 billion bringing total fee-based client assets to … $813 billion at quarter end, representing 40% of client assets. We continue to see softness in transactional revenues which were down 8% compared to last quarter, as retail investor activity has yet to increase from subdued levels,” said CFO Jonathan Pruzan on a conference call with equity analysts. Net interest income of $737 million increased from $577 million a year ago on higher deposit and loan balances. Compensation expense for the current quarter of $2.2 billion was little changed from a year ago. Non-compensation expenses of $790 million increased from $754 million a year ago, primarily driven by higher consulting and legal fees. Compensation costs represent 57% of total revenue, down from 58% last quarter and 59% a year ago, but still above the firm’s stated target of 55%. What could influence such costs going forward, an equity analyst asked, and is recruiting so aggressive that it is driving them up? And, in general, does Morgan Stanley see ways to cut comp costs to get to the 55% target? “The changes to the compensation for financial advisors and support, now actually it’s been very modest and — but at the same time, I would say the recruiting environment, the ins and outs, has also been very modest,” Gorman said on the call. “That is not — it might feel hypercompetitive because some of the wise run every time somebody moves from one firm to another [and] they run a story on it — but actually in the size of these firms now, the competitive environment on recruiting is really pretty stable. So that’s not what’s going to be the big driver here,” he explained.